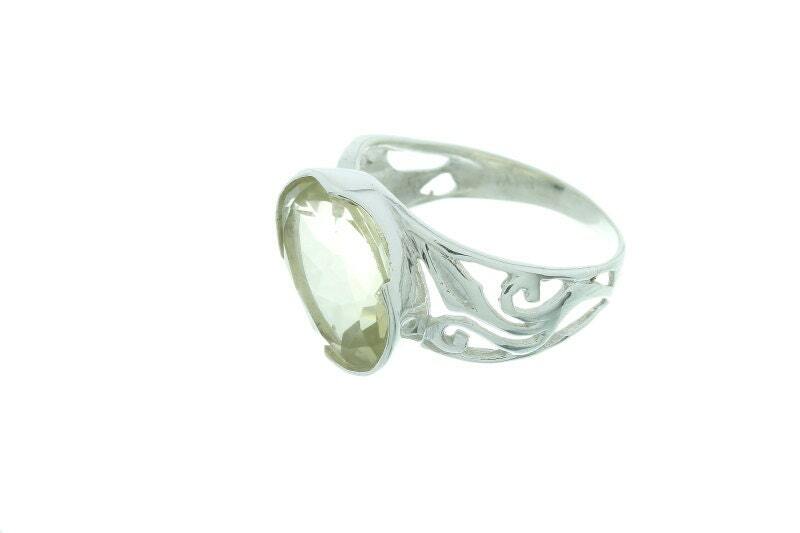 Sterling silver Lemon quartz ring. 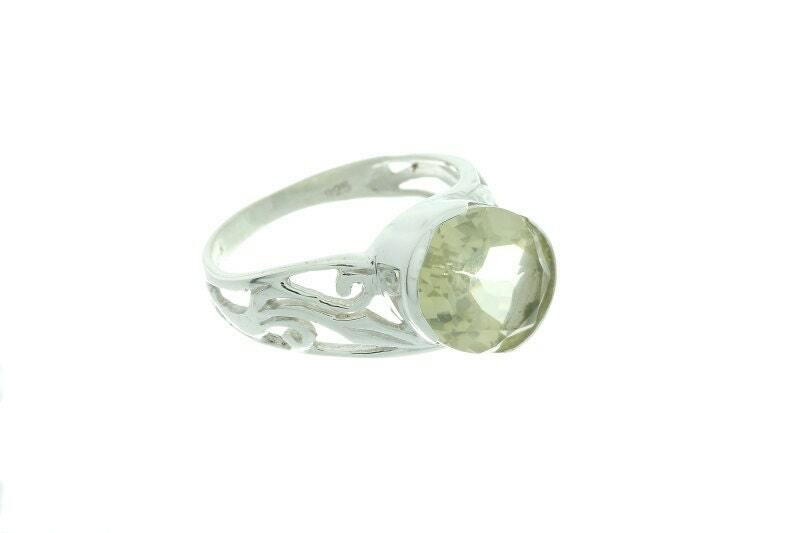 Stunning cut lemon quartz set in a sterling silver setting. 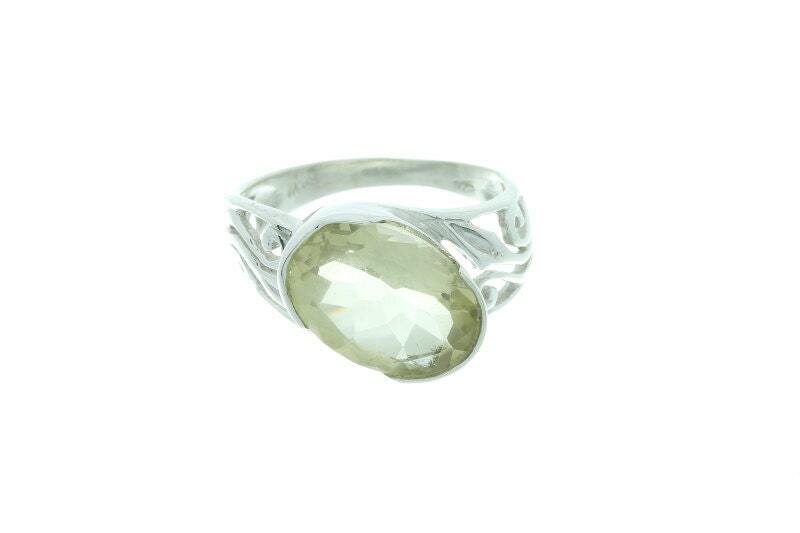 Lemon quartz is a stone of energy, creativity, and optimism. This unique stone celebrates energy and life.